Thank you to Arnold Lowrey for an entertaining & enjoyable evening. This critique session was very well attended & Arnold gave constructive & valuable advice to those who brought their artwork. The standard was very high with a wide range of themes & techniques. 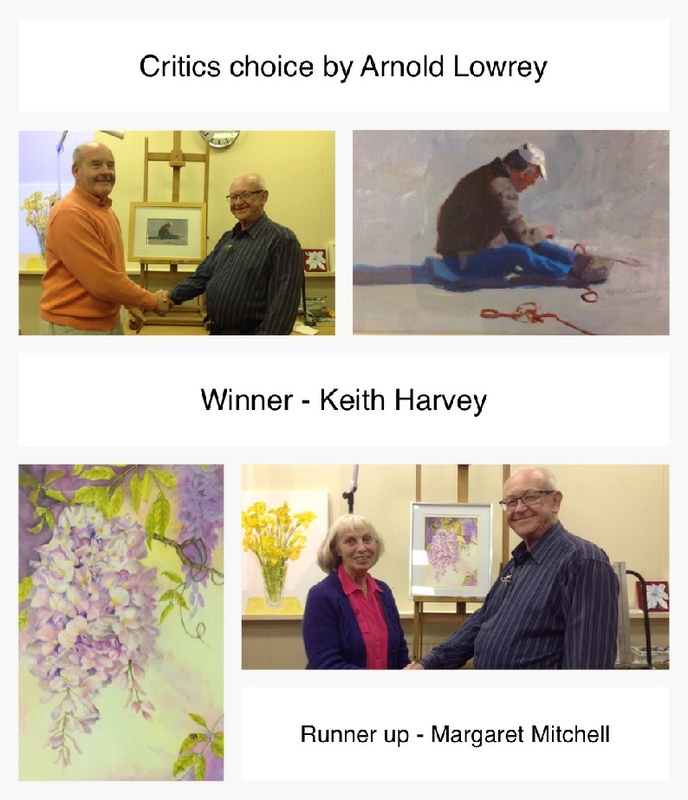 The critics choice award was won by Keith Harvey. The runner up was Margaret Mitchell. Photos & words by Pam Gilbert.